It’s here. The time for snow angels, hot chocolate, and snowmen has come! With the cold weather also comes a number of outdoor maintenance requirements. You need to ensure your rental is ready for the snow and is being maintained! The issue is that many tenants are often unsure who is responsible for which duties. It is necessary that both tenants and landlords are aware of who is liable to avoid potential problems (and even fines)! In order to answer the following questions, you will need to consider two things. What does your lease state? 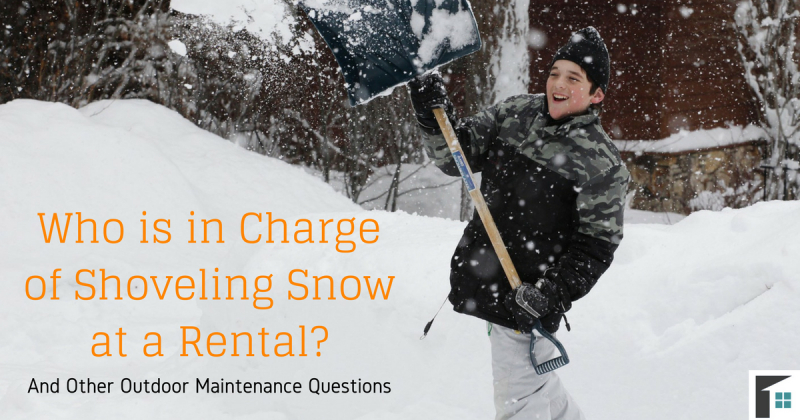 Here is your answer to “Who is in charge of shoveling snow at a rental?” and other outdoor maintenance questions. Who is in charge of shoveling snow at a rental? 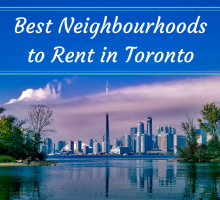 Depending on what type of property the rental is (house, condo, apartment, etc. ), this will determine whether or not the tenant or landlord is responsible for shoveling the walks. In a house (whether it be stand alone or a duplex), it is commonly understood that the tenant is responsible for shoveling the snow. Of course, there may be exceptions that will be specified in the rental agreement and lease, in which case it is important to know if the tenant or landlord is responsible. It is a bylaw in most cities that sidewalks must be properly shoveled within 24 hours of a snowfall, so if the tenant is leaving for vacation, they must be in touch with the landlord to ensure the walks are shoveled throughout the duration of their absence. On the other hand, if the property is a multi-complex or apartment building, it is likely that the condo fees will go towards outdoor maintenance. The condo board will usually have outdoor maintenance covered, hiring landscapers to care for the property and surrounding area. To be sure, tenants should always consult the lease and speak with the landlord! Who is responsible for salting ice? With winter also comes the hazards and problem of ice on sidewalks and pathways. Keeping up with the ice on sidewalks is very important as it could mean the safety of others. If ice is not properly dealt with and someone falls, seriously injuring themselves, either the tenant or the landlord would be held responsible if the person pressed charges. The person responsible for salting the ice is the same as the individual responsible for shoveling the walks. 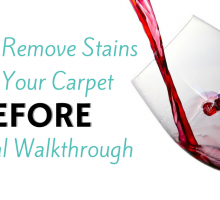 Stand-alone homes or duplexes commonly fall to the tenant to care for the salting of sidewalks. For rental properties such as condos, condo fees will usually include this in the fees, and no action from the tenant is necessary. Always take the time to clearly read and understand the lease and rental agreement. If you are ever unsure of who is responsible for outdoor maintenance, speak with your landlord/tenant – this will prevent any miscommunications and possible fines or accidents. Who is in charge of addressing weather-damaged property? During the winter months, a storm hits and brings down a tree onto the garage, or smashes a window. Who is responsible? In almost any situation where weather damage has been done to a rental home, the landlord is responsible. Because it is the landlord’s property, and the tenant is not at fault, they are required to fix the damage done. Keep in mind that fixes to a home may require tenants to leave the rental for the duration it takes to fix. If, for instance, the tree fell onto the garage and also hit the tenant’s car, or destroyed the backyard BBQ, it is another story. The landlord will be responsible for the damage to the home, but the tenant is responsible for their own belongings and possessions. This is why having rental insurance (and of course, car insurance) is so important! Rental insurance is there to help cover the damages done to tenant belongings. The landlord has no responsibility to cover those losses. In most cases, when signing the lease, a landlord may ask tenants to get renter’s insurance. But, if it is not a requirement, it is up to the tenant to purchase the insurance and take precautions to protecting their belongings! NOTE: Rental insurance with providers such as Nuera Insurance also can help tenants when they are required to leave during repairs! Once you know your responsibilities, you can feel comfortable that outdoor maintenance for winter will be properly managed. If you ever have doubts about the responsibilities or maintenance tasks, always review your lease and rental agreement or speak to your landlord/tenant! Better to be safe than sorry this winter!